The general first thought when contemplating outsourcing your IT HelpDesk is to do so in India or the Philippines. 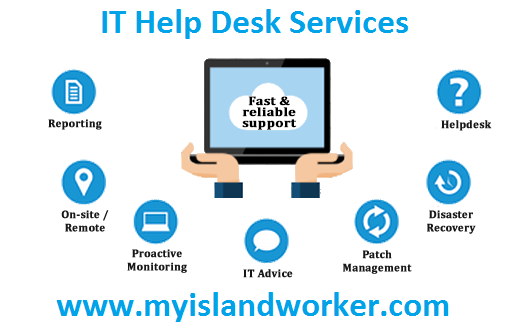 We here at MyIslandworker would like to offer you an alternative to outsourcing your IT HelpDesk needs to Guyana and our center here. Many of our Managed Service Provider clients find that by Outsourcing IT Help Desk Services needs whether that be Teir1 or 24/7 Network Operation Center services, they are provided with a team of technical specialist that possess the ability to interact with their clients over the phone and resolve their issues while on the phone with the customer. With our native language being British English, we allow a seamless transition for your customers who will expect someone on the other end that is relatable and fluent in their interaction with them and understands the native language lingo. Many IT managed service providers have built their reputation on providing that one on one business relationship with the owners of companies and being their trusted IT Consultants in managing their IT Infrastructure. It is very important when Outsourcing your IT HelpDesk that you ensure that the aspect of ensuring customers receive personalized care with their computer issues is not lost in the transition to an IT Outsourced Helpdesk model in another country. You can be resolving all the tickets as a helpdesk agent in a timely manner but if the “tech – customer” interaction seems distant or overly different from the accustomed norm on the user end then this will start to cause confusion in the users mind. Changes on the customer support end in terms of procedural flow should in no way impact the user’s experience of the accustomed norm of the ticket process from submission to resolution. It is important to ensure that if your clients are accustomed to receiving a personalized message when submitting a ticket request and receiving a callback. The email messages are delivered to the same address they are accustomed to receiving the notification with and the return call is done from a number tied to the IT Managed Service Providers phone system to identify the incoming call. At MyIslandWorker we ensure our agents are trained in a methodology that they can adapt to different systems. As an IT Outsourcing center in Guyana, we will ensure our VOIP phone system is linked directly to that of our clients. As with IT Outsourcing to India where you will find agents with accents that are easily identified by the caller as sub-continental, there will be no identifiable accents on our end with our agents. It is also important to ensure responses to tickets are not canned responses and addresses the issues the user is facing directly. Our agents ensure callbacks and follow-ups are directed to the user’s particular issue. When IT outsourcing to India and the Philippines, US Based companies will face the predicament of how to ensure their management team will be able to monitor and guide the IT Helpdesk especially if they are in a different Time Zone. We found that the owners of the companies looking to outsource their IT HelpDesk can stay on top of the management of their Outsourced IT HelpDesk team by being in the same time zone as the HelpDesk especially knowing that the Techs on the helpdesk are working during daylight hours and not long night shifts to cover US time zones. 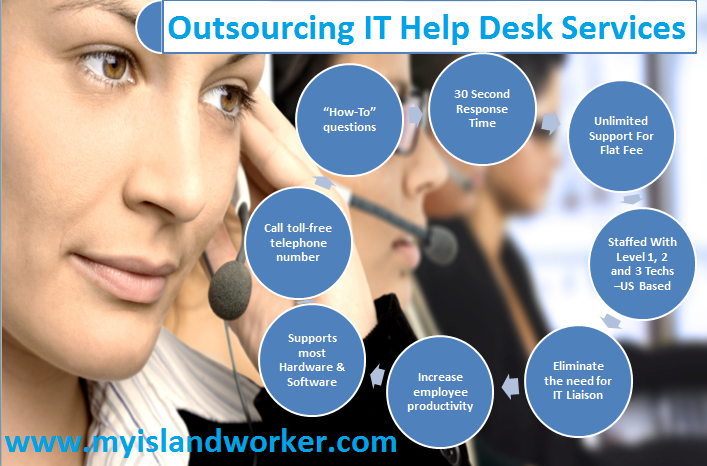 We believe this is where we stand out with the Outsourcing IT Help Desk Services that we provide.